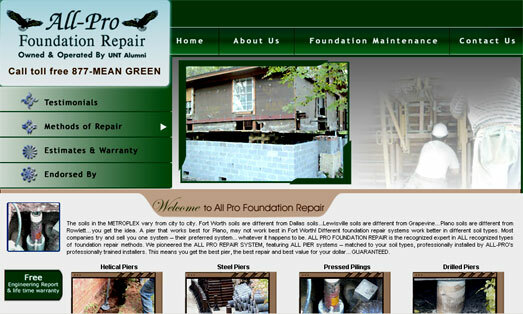 All-Pro Foundation Repair has established itself as the top choice for quality foundation repair in the DFW metroplex. 2. Methods of Repair - Ability to continually update methods of repair they use. Segnant has helped make All Pro Foundation Repair a site that helps them track their advertisements and easily collect information from prospective clients.